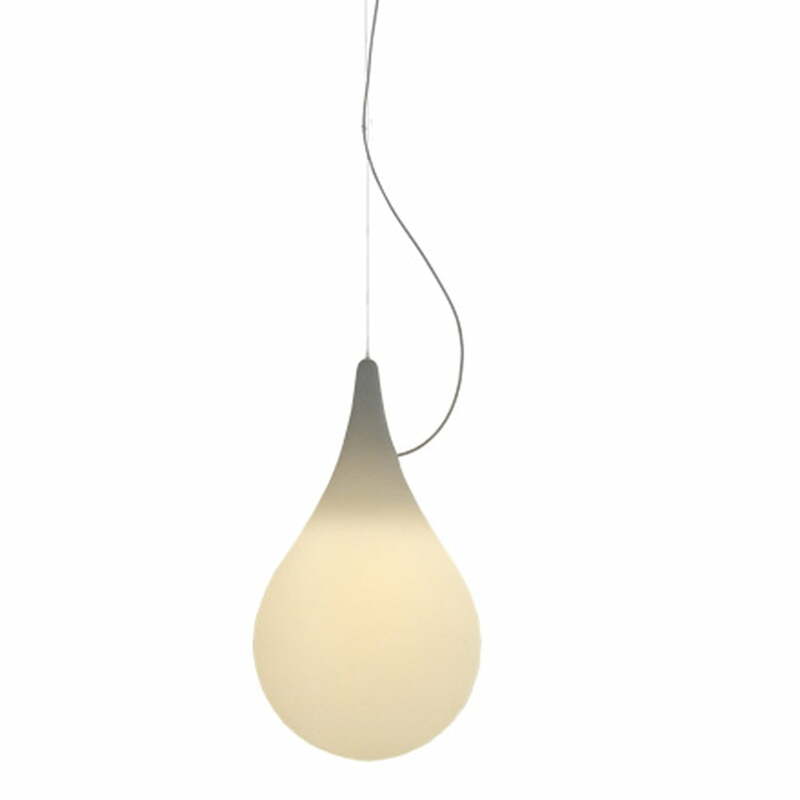 The Drop_2 light was created by the design agency Hopf & Wortmann for the young label Next Home. The Drop_2 is part of the light series “Liquid Lights”: an aesthetic symbiosis of light and water. The “Liquid Lights” are lights shaped like drops which set individual accents and give every room a pleasant warm light: a striking enhancement for every kind of architecture. It looks as if a drop of white liquid is floating weightlessly in space. The pendant lamp Drop_2 by Next Home consists of white plastic and is also available in small. You can create an attractive atmosphere by using coloured bulbs. 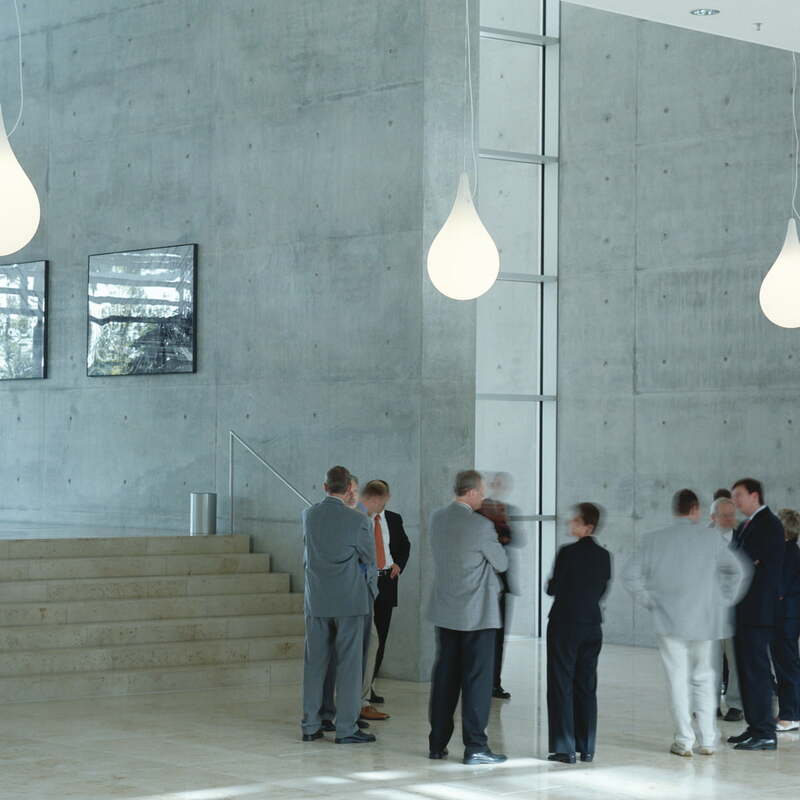 The “Liquid Lights” series by Next Home was awarded the Form Design Prize in 2001 and received the title “Design for Europe, best lighting“ at the Biennial Kortrijk. Please note that there are other lights from the “Liquid Lights” series in our online shop. Produkteinzelabbildung der Drop_2, Pendelleuchte von Next Home. Die Hängeleuchte entstammt dem Entwurf von Benjamin Hopf Büro für Form und verfügt über einen E27-Sockel. Die Leuchte ist geeignet für Leuchtmittel der Energieklassen A++ bis E, wird jedoch ohne geliefert. The Drop_2 light was created by the design agency Hopf & Wortmann for the young label Next Home. It looks as if a drop of white liquid hovers weightlessly in the air – an aesthetic symbiosis of light and water. 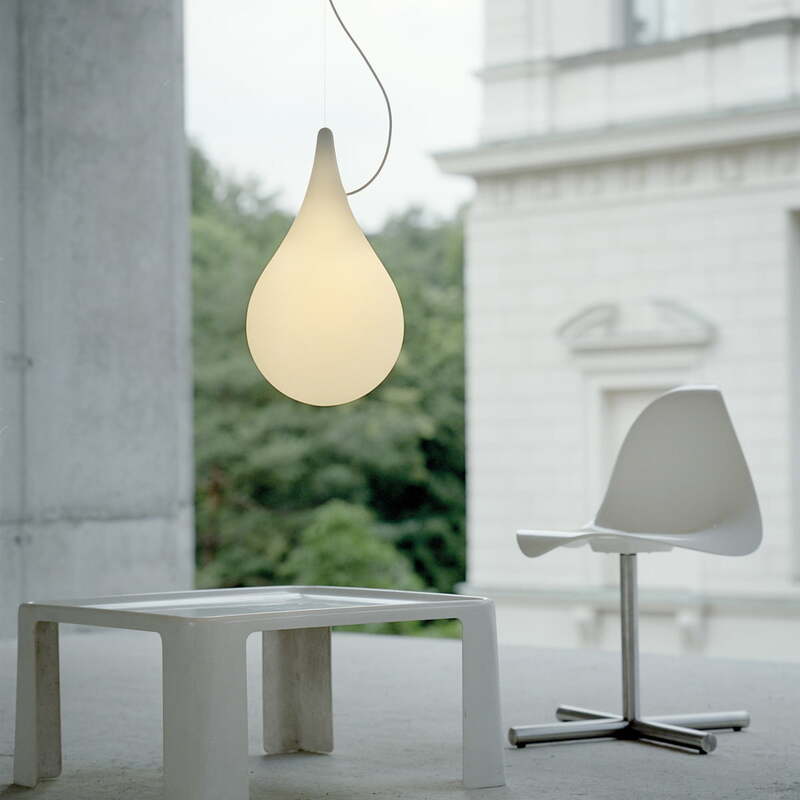 The Drop_2 light was created by the design agency Hopf & Wortmann for the young label Next Home. 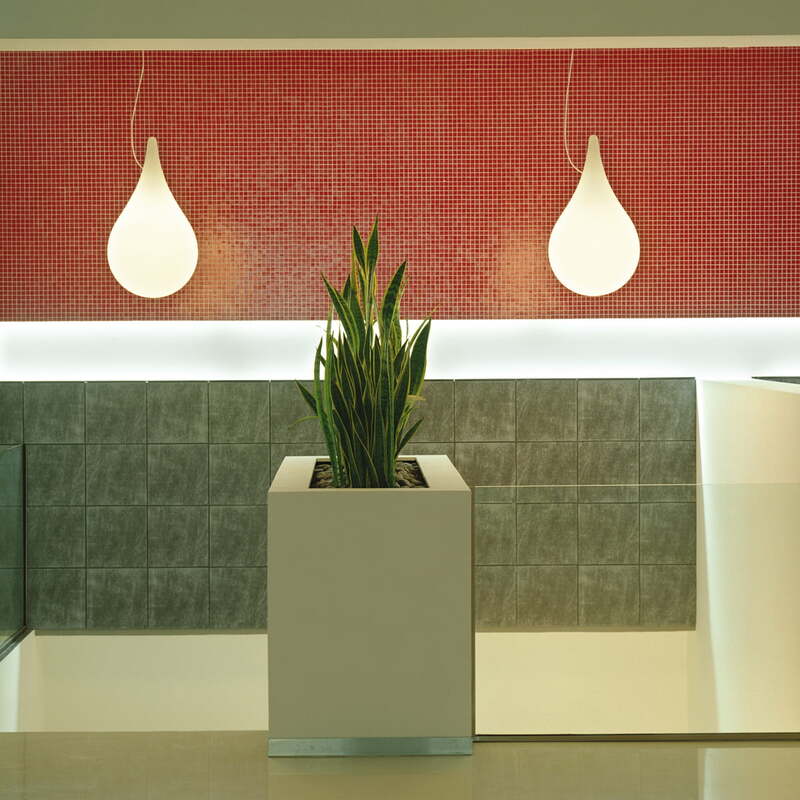 The Drop_2 belongs to the light series Liquid Lights – an aesthetic symbiosis of light and water. Weightless design that enriches any ambience. The Drop_2 Pendant Lamp by Next Home consists of white plastics and is also available in small. 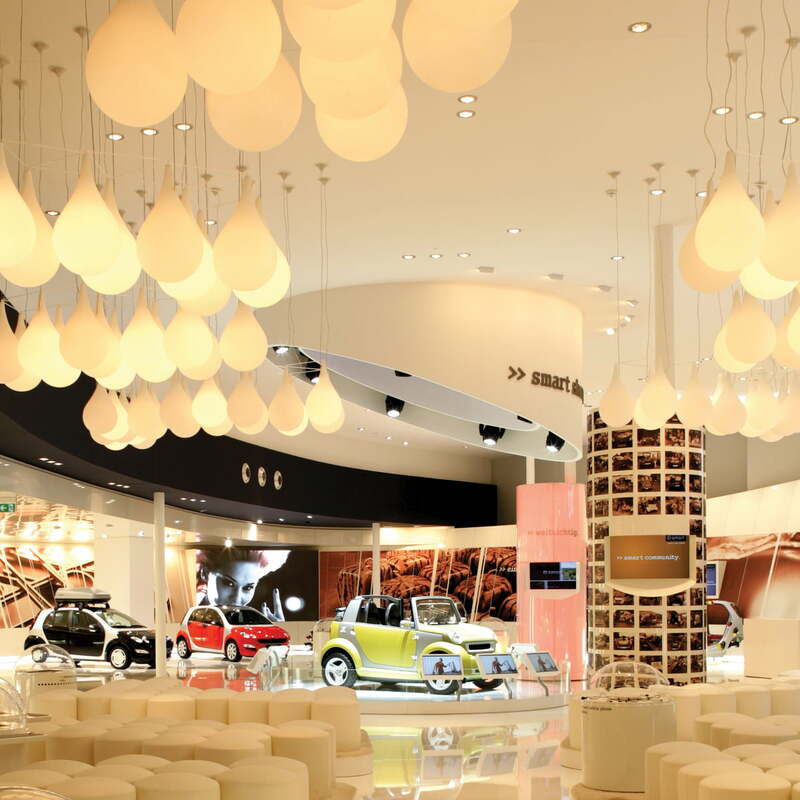 When using coloured illuminants, atmospheric highlights can be set in any ambience.